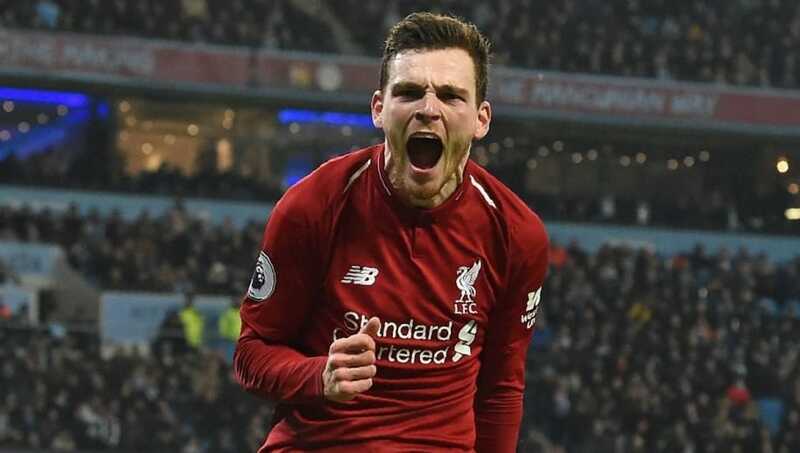 ​Liverpool left-back Andrew Robertson has revealed his delight after signing a new long-term contract with the club this week and claims he is now a much better player than he was 18 months ago when he first joined the Reds from Hull. Robertson, who was playing for Queens Park in the Scottish Third Division in 2012/13, has emerged as a key Liverpool player and automatic starter over the last year and described himself as 'delighted and over the moon' at penning fresh terms with the Reds. "Since I came in the door, I obviously had a bit of a frustrating start, but I've loved every minute of it. Getting to know the lads and working with all the staff at Melwood has been a pleasure," the Scotland international captain told LiverpoolFC.com. "The best thing about work is when you love coming in every day - and that's what I do here. I am glad I have extended my stay and hopefully we have a lot of good days ahead." Robertson admitted that he now feels like 'an established member of the squad' compared to thinking he needed to prove himself when he first walked through the door. "I feel comfortable in my surroundings, playing for such a massive club. I love playing with all of the lads and I hope they respect me as a player now," he explained. Robertson initially struggled to break into the team and it was only really halfway through his 2017/18 debut season that things clicked into place for him. Having described the first few months as 'hard', he commented, "It made me a better player probably more mentally, but also physically as well in terms of the demands of playing for Liverpool, how fit you need to be and how on your game you have to be every single game. "That's what, luckily, I've done. Mentally, it really set me up and helped me with the attitude and mentally towards playing for this big club. I feel as though I've dealt with it well since then."